Robert Charles Hunter is a nationally known business leader, author, speaker and film producer. He served 23 years with PepsiCo, a Fortune 15 powerhouse, including 11 years as CEO of PepsiCo Food Systems. He is a past board member and committee chairperson of the U.S. Chamber of Commerce, Washington, DC, and has served in leadership roles for numerous civic, educational, and charitable organizations. 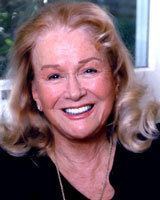 Hunter is currently chairman and CEO of Exxcell Entertainment, Inc.
Diane Ladd – actress, director, writer, author and producer is a 3x Emmy and 3x Oscar nominee and the winner of thirty five international awards, including the British Academy Award, the Independent Spirit Award and the Eleanor Duse Award. Ladd received her “STAR” on the Hollywood “Walk of Fame” along with her ex-husband Bruce Dern and daughter Laura Dern. Ladd made her directorial debut with the award winning film Mrs. Munck. 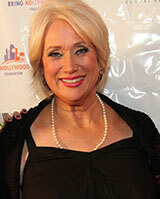 She served over a decade as a Board Member of SAG and a long-time member of The Actors Studio. Ms. Ladd has just authored her second book, a collection of ten short stories which received rave reviews, A Bad Afternoon for a Piece of Cake. 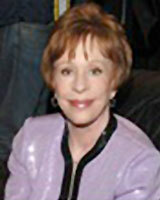 Is there anyone more loved than the great Carol Burnett, actress, comedian, singer, and writer, who has brought the world such amazing entertainment for over five decades. Her rags to riches story began in San Antonio, Texas, as a child of alcoholic parents. After a variety of appearances in show business, she began her road of fame in Broadway’s Once Upon a Mattress, winning her a first Tony Nomination! She was to envelope America’s heart and replace Lucille Ball as the Queen of Television, in her own series, The Carol Burnett Show, winning her an armful of Emmys. Ms. Burnett is a devout humanitarian. International Actress, Writer, Producer, Television Host. Known for her amazing versatility starring on Broadway in her one woman show, Fontaine . . . Why am I Straight? She touched America’s hearts in her Television series, Bagdad Café and from her first film, Spielberg’s The Color Purple, to achieving numerous Awards for her incredible talent, including; The Theatre World Award, The Drama Desk Award, six NAACP Image Awards, five The People’s Choice Awards, two Golden Globes, a Grammy, a British Academy Award and the Oscar for her outstanding role in Ghost. She co-hosted along with Billy Crystal and Robin Williams the Comic Relief yearly national television special successfully raising needed monies for America’s homeless. 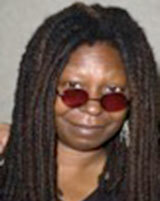 Whoopi is the mother of a beautiful daughter, an actress in her own right, Alexandra Dean. 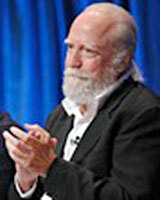 Scott Wilson is one of the most prestigious and respected actors in America today, who has received magnificent reviews for such versatile performances in films as; In the Heat of the Night, the acclaimed In Cold Blood, Director Jack Clayton’s remarkable The Great Gatsby with Robert Redford and Bruce Dern, Flesh and Bone with Meg Ryan and Dennis Quaid, Dead Man Walking with Sean Penn and Susan Sarandon, The Samurai with Tom Cruise, as well as Monsters with Charliz Theron, T.V. series, CSI and The Walking Dead. 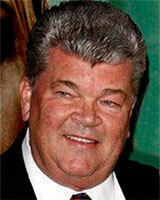 Mr. Wilson served long and faithfully on the Legislative Committee for the Screen Actors’ Guild Board of Directors. 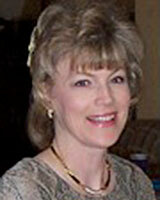 Sylvia Hague has twenty plus years in finance management and nine years tax license experience. 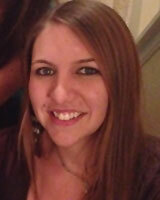 She is skilled at numbers and passionate about serving others. 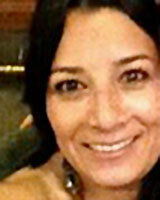 In addition, She is fluent in English & Spanish and is told is a great motivator of people. Her ethics and work ethic make her a valuable asset to the Art and Culture Taskforce. She loves to learn and give to others. Sharon Hardee Jimenez brings four decades of leadership in investigative reporting, public policy development, and interview and broadcast skills to her position as our Public Relations Director. Sharon’s passion for coalition building, good public policy, and media, led her to found Icon Imaging PR in 1997 where she helped pass a new LA City Charter creating Neighborhood Councils. 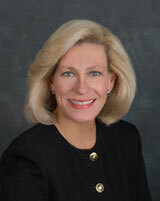 She has served as a senior advisor in two presidential campaigns (‘04 and ’08) with Hollywood as her home turf. She is the founder and president of the “Bring Hollywood Home Foundation” created to sponsor tax credit incentives for California’s film and television industries. Sharon, along with Director Jeff Reichert, is the recipient of “The Defenders of Freedom” award conferred by Stanford University’s Munger Center for the film “Gerrymandering”, the movie instrumental in gaining independent redistricting reform in California. 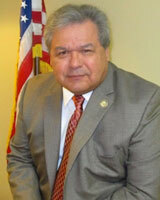 Bob Jimenez, a five-time Emmy, Dupont Columbia & George Foster Peabody award winning journalist having covered news for CBS, NBC and UPN networks for the past 42 years, is Director of Government Relations with the Board of Equalization’s Monterey Park 4th District. A veteran speech writer, political consultant, and public policy advisor, serving the California State Assembly and Senate for the last ten years, Bob is an ardent advocate of higher education in the field of communication theory. Having lectured at UCLA, Stanford University, and the University of Southern California, where he has served as an adjunct of Broadcast Journalism. He is active in producing and hosting community television programming for Los Angeles and PBS, and has published articles on the State of the Media. Jimenez is called on by the Norman Lear Foundation to sit on panels regarding the FCC’s role in safe guarding the free airways of America. Iona Kaye, under her professional name Jennifer Kaye Evans, is a documentary film writer, director, and producer of over 10 films. Her films have won Spain’s Jury Award, Australia’s Bronze Kanga, and the Silver and the Golden Knight at Malta’s International Film Festival. Iona is a graduate of the famed Pasadena Playhouse. Iona has performed as an actress in over 30 films. She became a close friend of Ladd’s while working with her on the recent HBO series “Enlightened”. 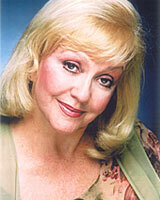 Ms. Kaye continues to work with Ladd on other television and film projects. Victoria Richards has spent the past twenty five years in the literary and entertainment industry, representing authors, musicians and actors. She has been a music producer, holds her own music publishing company and a member of Country Music Association. Victoria was formerly the entertainment director for The American Cancer Society, and organized charity events for Autism. In more recent years, has focused on public relations for authors in the book publishing industry. Victoria has spent her whole life taking in and caring for abandoned children. Barbara began her career at CBS television in Cleveland, Ohio followed by a position in Promotion for Ted Turner in Atlanta at WTCG, which later became known as WTBS-TV and CBS television in Miami, FLA as well as worked in production for Paramount Pictures on location in Miami. Barbara left for the south of France and other parts of Europe and lived in the Caribbean twice dealing with large yachts and cruise ships, eventually returning to Hollywood where she became one of the owners of the nation’s oldest motion picture film laboratories in the country, Hollywood Film & Video, Inc. She and the Chairman of the lab also own several other corporations located in Newport Beach and Park City, UT where she divides her time and runs her own production company. Brittany Bolduc hails from San Diego, CA, and has an Associate of Arts in Psychology and is currently working for her BIS. She is an Executive Assistant in Ladd/Hunter’s film Company, Exxcell Entertainment, and travels with Ms. Ladd to Locations for all her films, along with her Rescue Dog, Chee Chee.